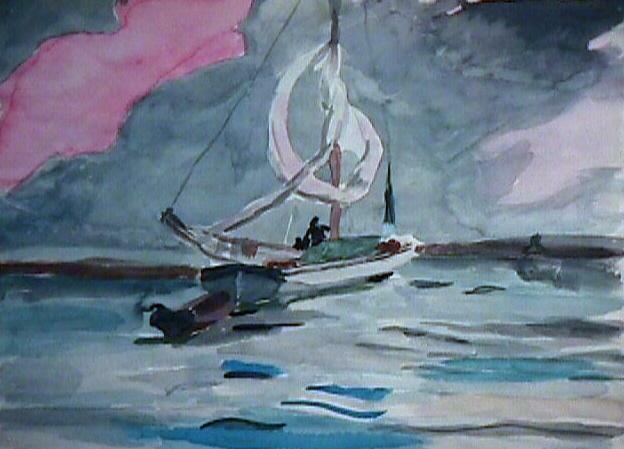 This is a reproduction of one of my favorite paintings - Sloop, Nassau by Winslow Homer. He has some great watercolors I recommend checking them out. I've also done another version of this with the colors inverted, it was recently added to my page. The original painting is on display at the Met.